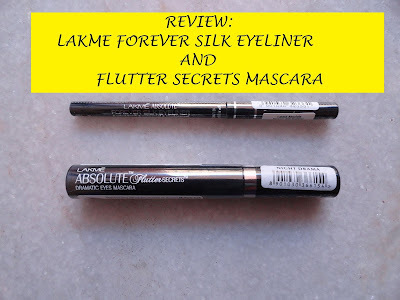 I picked up the Lakme Absolute Forever Silk Eyeliner in Blacklast. Priced at 450INR you get 0.28g of the product. I love how on the body of the liner all the information required is given, such as best before date, name of the product, characteristics of the product, and it even tells you very clearly that this product is not to be used inside the eye or on the waterline, and that it is meant to be a twisted up in only one direction. I think the piece I got may have a slight defect because the mechanism seems a bit loose and doesn't twist up very well. The liner goes on like a dream. 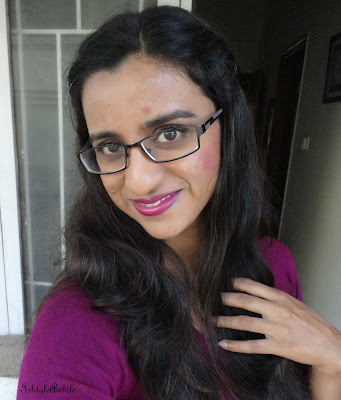 It is smooth and it is really pigmented. 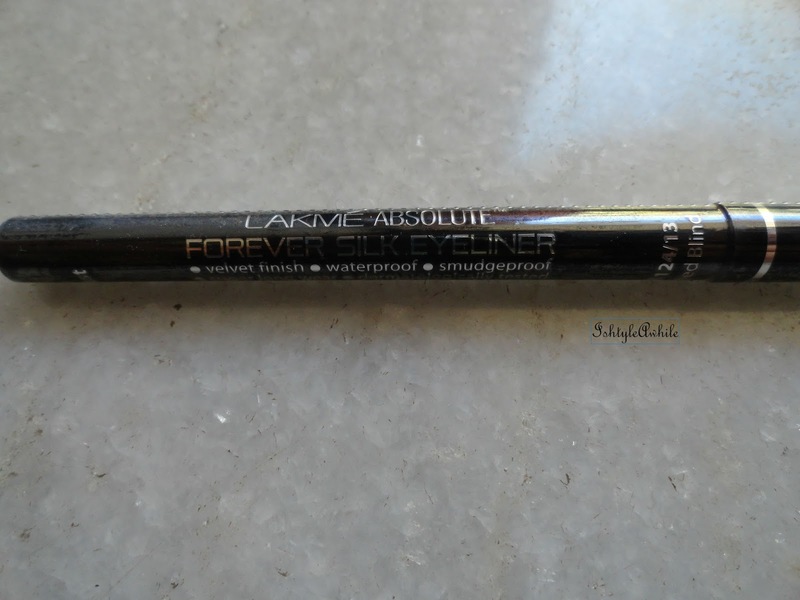 It lives up to the claims of being waterproof and smudgeproof. 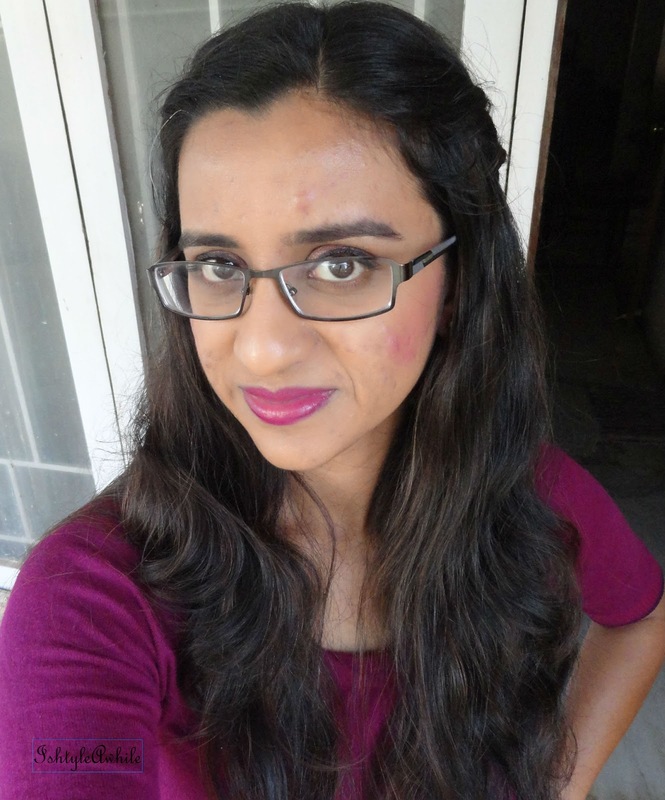 In fact it requires a fair amount of makeup remover to be removed. 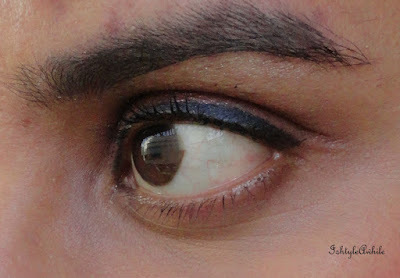 Though it is smudge proof, if you work quickly, you can smudge the eyeliner slightly to give a smoked out look. It lasts long and does not flake or fade easily. 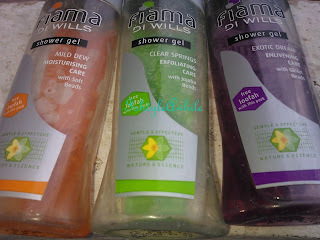 As per the instructions I have not used it on the waterline so I can't really tell you about how it reacts if you do use it on the waterline. 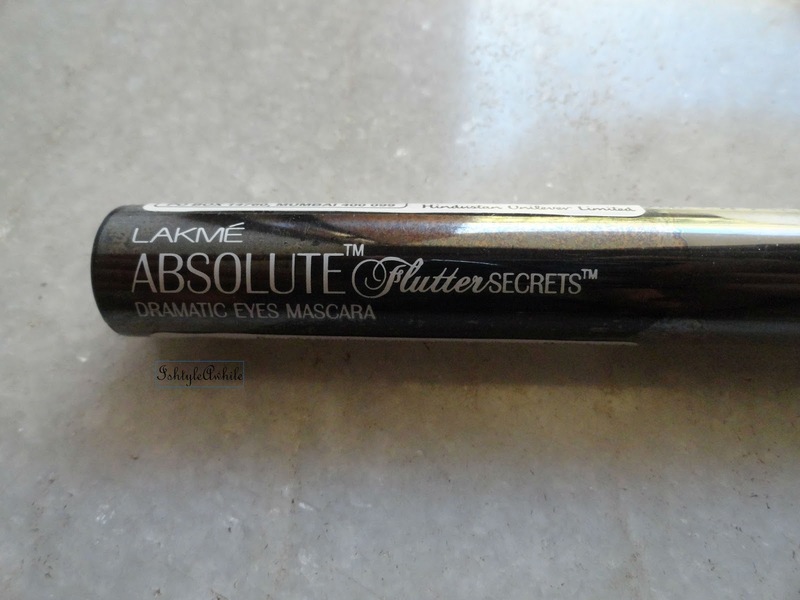 To go along with the eyeliner, I picked up the Lakme Absolute Flutter Secrets Dramatic Eyes Mascara. 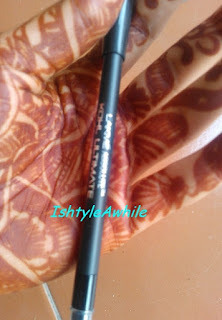 Priced at 725INR, I wouldn't really call it a budget mascara. It comes in a simple black tube with white writing. Unlike the eyeliner, there is nothing written on the tube except for the name of the mascara. It is fairly wet mascara and the wand is a tapered wand. It does definitely add some drama to the lashes. Maybe not as much volume as I would have liked, but I love how it makes my lashes look. More than two coasts definitely makes it look clumpy but it coats each and every lash. It is not easy to remove this mascara even though it does not claim to be waterproof. It requires quite a bit of effort to be removed. 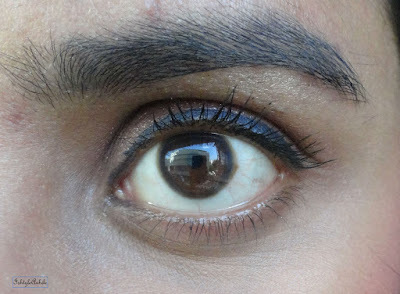 It takes time to dry and because of that you should be careful so as to not get mascara on your eyelids. Between the two products there are more chances of me picking up the liner rather than the mascara. 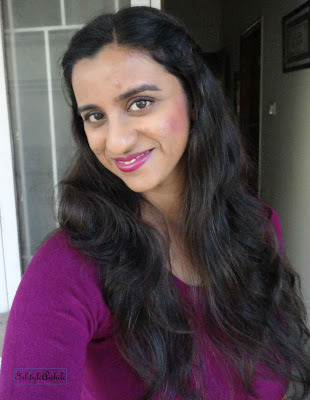 Here is the breakdown of the complete look. 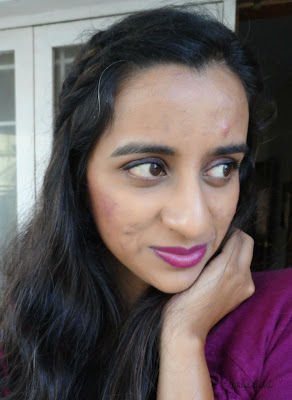 MAC Studionfinish foundation in NC 44. 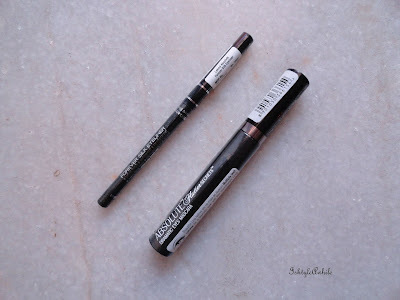 Maybelline Fashion Brow Duo in Brown. What is your take on Lakme Forever Silk eyeliner and Flutter secrets mascara?